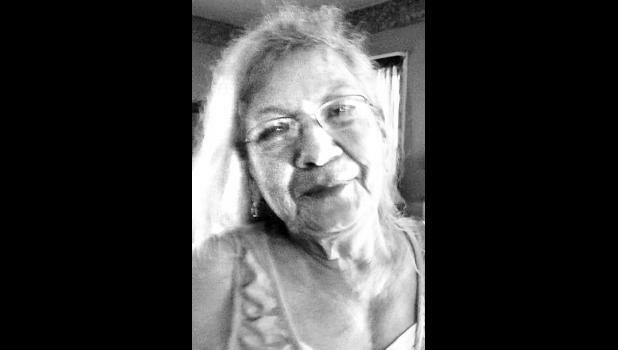 Myra Lee “Osh te se kwe” Matchie, 68, Mayetta, died Tues­day, Jan. 27, 2015 at her home. She was born May 16, 1946, in Holton, the daughter of Peter Paul and Blanche Masquat Matchie. She lived in Holton and Mayetta all of her life. Ms. Matchie worked at the Sen­ior Mealsite and for Social Services on the Prairie Band Potawatomi Reservation for several years. Survivors include two daughters, Ruta Mendez and Marji Heim, both of Mayetta; two sons, Benny Nioce, Topeka, and Raymond Nioce, Holton; three sisters, Tutti Kern, Mayetta, Hedy Noland and husband Jr., Holton, and Betty Jean Rice, Mayetta; two brothers, Roland Matchie and wife Janis, Holton, and Lester Sumner, Hoyt; 18 grandchildren; and 11 great-grandchildren. She was preceded in death by her parents; two sons, Paul A. Lawrence, on Sept. 21, 2014, and Sam Barrow, on Dec. 11, 2014; a sister, Edwina Dickinson; and a brother, John Matchie. Drum services will be held Sun­day evening at the Danceground Building. Burial will be held Mon­day afternoon in Thunder Eagle Cemetery south of Holton. Ms. Matchie will lie in state through 2 p.m. Sunday. Mercer Funeral Home in Holton is in charge of ar­rangements.